When you live in a city as big as San Francisco, you will inevitably come across some of the strangest incidents. In a way, it is great if you have social anxiety, because you can be sure that the citizens of this city have seen stranger things than whatever you are currently doing. So why would they bat an eyelid at your comparatively normal behavior? Oftentimes, you don’t even need to be in a city. As long as you work in some place that will have contact with the majority of society, you will eventually see some really weird stuff that people are capable of doing. After a while, even hearing about live fish being sent through the post in a styrofoam box will be the least of your concern! This is all well and dandy if you are trying to desensitize yourself or similar, but what if that “weird incident” just happens to be incredibly disgusting as well? 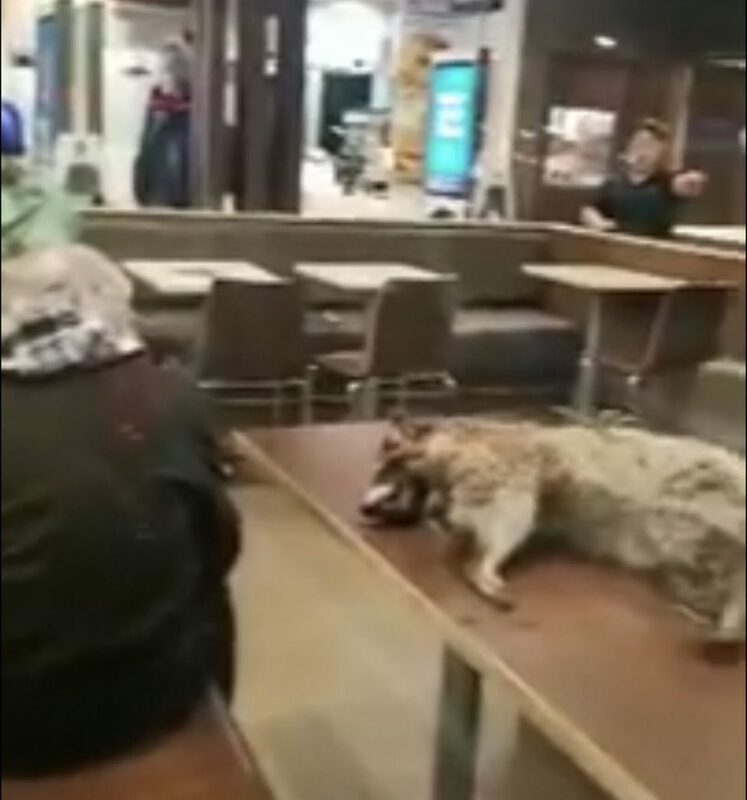 That was the horrible situation the staff of this Californian McDonald’s were faced with when a man randomly walked into the restaurant with the carcass of a raccoon. This, as you can imagine, was incredibly shocking, in addition to the situation being a major health hazard. 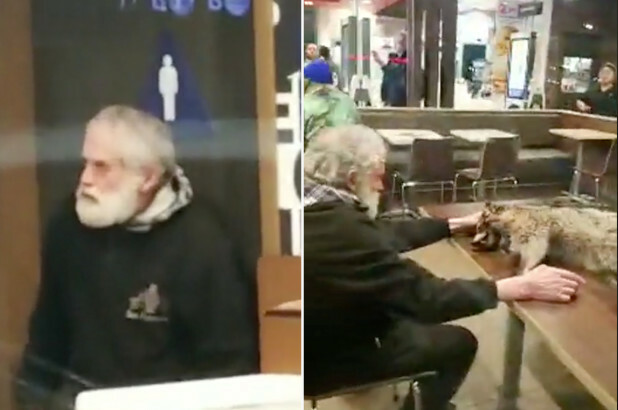 In a video captured and streamed in real time on Facebook Live by Chris Brooks, an unidentified older man with a white beard and hair was sitting in the franchise restaurant a little before 7 a.m. on an otherwise innocent Sunday morning. On the table before him was the corpse of the dead raccoon, which was alarming everyone in the vicinity. 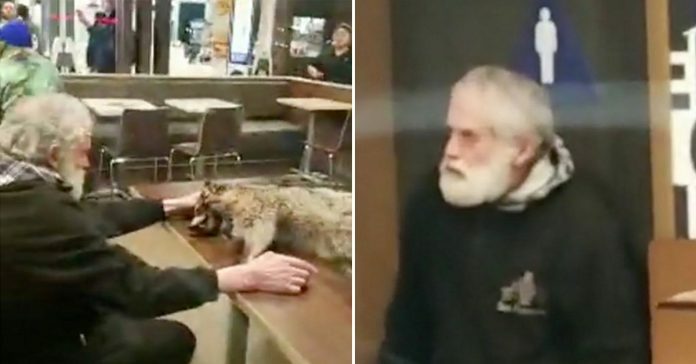 According to what Brooks yelled in the video, it seems that the man had simply placed the raccoon on the table without any warning. The man then got up and left after an employee pointed at him, leaving behind the animal’s corpse. It was eventually removed by a different person wearing gloves, who picked it up by the tail and threw it away in an outdoor trash can. In the video, it is clear that the corpse was leaving behind a bloody trail as the person walked out of the store and into the parking lot to dispose of it. To their credit, the staff of the restaurant responded well. According to Scott Rodrick, the McDonald branch’s owner-operator, the employees immediately had the entire dining room cleaned and sanitized as soon as the carcass was removed, and the restaurant was reopened for business as usual five hours later. In fact, it was such a job well done that the health department officials that visited the restaurant later declared it fit for continued full operations. It seems that the patrons of the restaurant branch are comfortable with the cleaning efforts of the staff as well, since very few appeared to be bothered by the incident when asked if they would return to eat there. To top it all off, some have joked that the restaurant couldn’t possibly get any cleaner, now that it is being watched by so many health inspectors.